*GREAT PRICE! * Amazon – Sunbeam 76893.05 Kitchen Bake 5-Piece Bakeware Set, Carbon Steel just $10.16 (reg $19.99)! 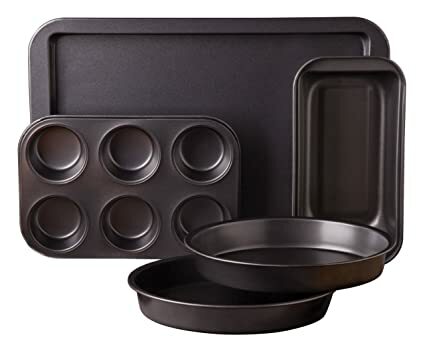 Amazon is offering the Sunbeam 76893.05 Kitchen Bake 5-Piece Bakeware Set, Carbon Steel for $10.51 – $.35 coupon on the product page = just $10.16 (reg $19.99) with FREE Prime shipping or free shipping with $35 purchase.